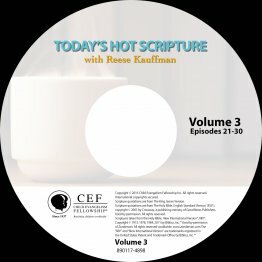 Why not take a few minutes and be encouraged in God's Word today? Ten devotionals from the president of Child Evangelism Fellowship, Reese R. Kauffman. Each devotional is about five minutes long. Great for staff devotions, gifts to donors, or for group Bible studies! 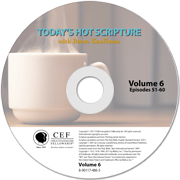 Great for staff devotions, gifts to donors or group Bible studies.